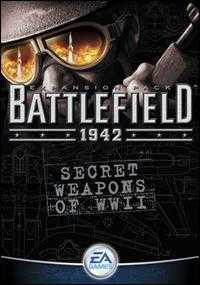 Secret Weapons Of World War II, is after Road To to Rome already the 2nd addon to the multiplayer shooter Battlefield 1942. This time one changes the run of history a little and gives to the player weapons, drivable vehicles or airplanes which there were not at the time present in the actual war but were being developed. Thus there is a German rocket airplane, the US-mini-jet F-85, an amphibious vehicle, 2 sidecar motorcycles (German and American), but also a sound-subdued submachine gun, and different other weapons for the infantry. Further, tanks and airplanes are also present, as well as a flight command post and a transport plane which serves at the same moment as a mobile spawn point. The branches of service are German and British commandos. The probably most inappropriate new device is the rocket backpack (which has played to this day no role in warlike disputes). It's fun to use but fits in the least in the serious Battlefield design. Designwise it has not changed a lot, the maps are rather big furthermore and there is more fun to be had with a larger amount of troops. Altogether this is a very good addon.